Whenever I get an opportunity to talk about the importance of building resilience skills to a group of professionals – I take it. It doesn’t matter if I’m speaking to Lawyers, Accountants, Vets or Entrepreneurs, the messages are the same and they are needed more now than ever before. At a time when the pace of work and life seems to be increasing exponentially, we all need to find ways of remaining (or becoming) healthy. 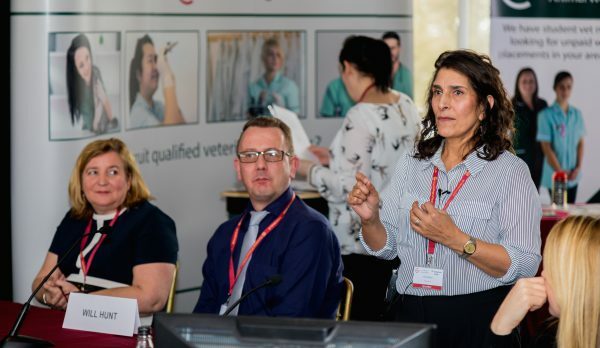 Last week I had the opportunity to present at an annual conference for Veterinary professionals. It was a very well managed affair with preparation that started about 6 months earlier. 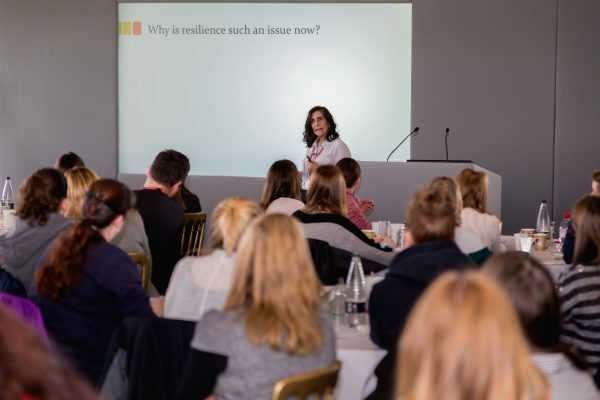 We’d agreed on the title of ‘Resilience – learning how to cope and bounce back when things become overwhelming’, the organisers thought this would be most popular with the audience. When you’re speaking on a topic that is also your passion, it can be difficult to stick to the allocated time. I know this was going to be my biggest challenge, and how the minutes slipped away. The audience were wonderful. They dived into the exercise I asked of them there was great engagement on their part. I talked about the world of work today and the pressures faced by us all. There were heads nodding as I spoke of the need for building resilience skills so we can cope. But I challenged them to do more than just ‘cope’. I shared a personal story of building resilience skills and my 7-step guideline to move from overwhelm to feeling ‘strong from the inside’. But there is only so much you can cover in 45 minutes and although I mentioned the importance of attention and focus, I didn’t have time to cover these critical elements for safeguarding our mental wellbeing in detail. At intervals throughout the 2-day conference there had been question and answer panels. What a great chance to offer solutions to specific questions. Will we become more resilient as we grow older? Does how we are brought up impact on our resilience? How can I help a member of my team become more resilient? If all this sounds interesting and you’d like to hear more, please contact or call me and let’s chat. Or you might be interested in learning more about my next 1-day Resilience Skills workshop in Newmarket on Friday 27th April. If you’re suffering from feelings of overwhelm and panic more often than you think is comfortable, I highly recommend you read my free e-book, 7 Guaranteed Ways to Reduce Stress, Stop Feeling Overhelmed at Work, and Get Your Life Back. Or drop me a note and let’s see if I can’t help. This entry was posted in Change and Resilience, News and curve-balls and tagged Keeping calm, leaders, resilience, stress-free, wellbeing. Bookmark the permalink. ← Isn’t it play time yet?